The Platinum Machine Leading The Field For Jonah From Hog Roast Towcester! 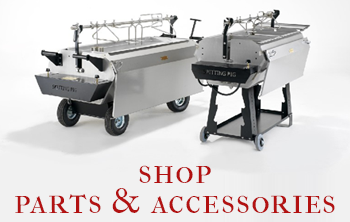 Whether you’re a professional chef who cooks for customers and their guests or you’re a domestic chef wanting to cook your own hog or spit roast for family and friends at home, Hog Roast Towcester is the answer to your hog roasting machine prayers. Even if you’ve never cooked this way before, hiring or buying our equipment is something that you clearly won’t regret and will get the hang of immediately, as we made our machines to be so easy to use. We have our own factory in the northwest, where we build our range from scratch, and you can even visit us to have a look around, talk to our engineers and other team members and even see a machine being handmade. Hog Roast Towcester recently got a call from Jonah, who was thinking of adding a new hog roast machine to his collection. Having a wedding and events catering business is something we know all too well about of course, especially when it comes to using high-quality hog roast machines to cook tasty food, so Jonah had come to the right place. Our experts can answer any question that you might have about the preparation or cooking process, and it doesn’t take long at all to show the workings of one of our machines, so that you can get the best out of it and ensure that you have well-cooked food that will be enjoyed by all. Jonah asked to visit our factory and showroom, as he wanted to see all of our range and as a former engineer, he was particularly interested in seeing one of our hog roast machines being built. You don’t need an appointment as Hog Roast Towcester welcomes customers to see just how operate, so on a rainy Monday recently, the team at HQ showed Jonah and his partner around. 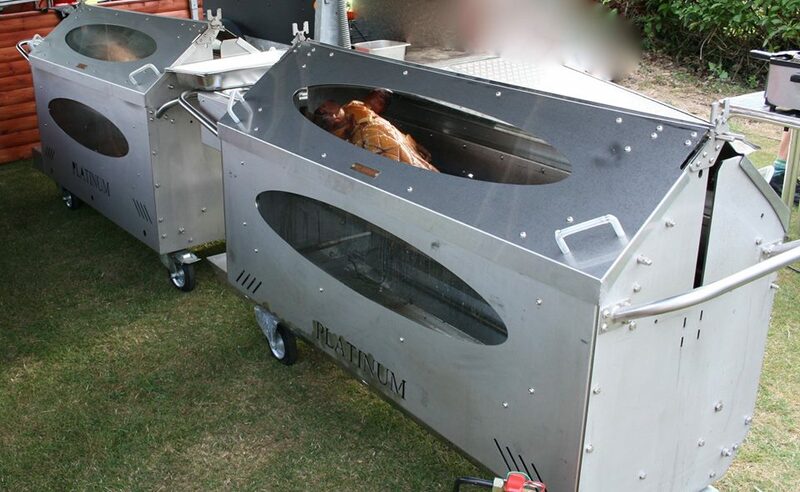 Having used this type of equipment for several years now in his business, he was suitably impressed with how we designed and build ours, and by the end of the day, he had ordered one of our Platinum hog roast machines, which is perfect for larger events. Try before you Buy. Hire a Hog Roast Machine! Hog Roast Machine For Hire!